Streamline is a high technology fabric designed to reduce drag by its water repellent stripes. This fabric is knitted 76% polyester, 24% spandex, 240 grams per square meter, with water repellent resin stripes. Streamline is sleek and smooth to the touch. 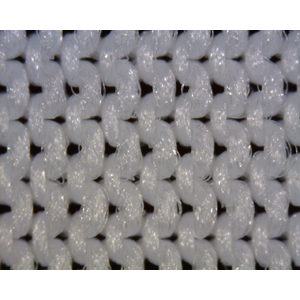 It is a denser fabric than PolyFlex.